So first off … this is a report from Stackoverflow with a punt for business on the last page. However, it does provide some interesting insight into the current state of the developer skills market. Recent efforts by tech companies to diversify the workforce are validated on page 6. Derek Haynes, founder of Scout, gives a good rundown of the pros and cons of the current state of profiling Rails apps. Obviously he gets a plug in for their own DevTrace tool but it seems a worthy contender. If you’re frustrated by Apple’s ageing desktop line up and want something more powerful and expandable then Dan Counsell, founder of Realmac, gives a great rundown of what’s required to build your very own Hackintosh complete with benchmarks against Apple’s current offerings. If you work on a lot of open source then you’ve bound to have come across Travis CI and especially on something like Rails where we test against a large matrix of Ruby version then watching the results in a web browser can be irritatingly slow. Julian Gruber comes to the rescue with travis-watch - a utility for streaming the Travis build of the current commit to the terminal, giving you your very own build status monitor in a window. A neat looking video based course to develop, debug & performance audit your websites. Level-up your web development skills and create blazing fast experiences. Recommendations from the amazing Sara Soueidan, Wes Bos, and Paul Irish. A discussion about building modular systems that articulates the costs of microservices for modularity’s sake. An explanation of the hidden git rerere feature that, using information about previously resolved conflicts, can help make conflict resolution during merges and rebasing easier. This is a cool project that puts one image in another (massive oversimplification?) 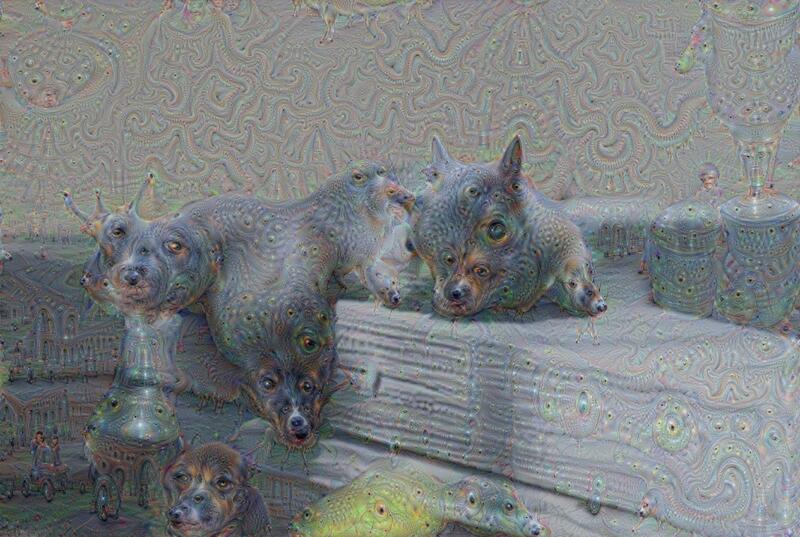 - and in a much more pleasing way than the convolutional network generated images. Seems to need CUDA and various other dependencies but it’d be good to get this running sometime. One of the hardest things in programming is naming things. This article explores the consequences of deciding to name smarter machines as “artificial intelligence”. It’s been pointed out by various prominent individuals that AI could become dangerous, which is why policy is now being developed to limit it’s reach and control the effects it could have. Had it been called something less threatening, this might not have been a problem. It’s a refreshing read and a good reality check: there is no “they” and “us” when it comes to machines. I’ve been waiting for iTunes/Spotify to release an update so that the currently playing track shows on the Touch Bar. However, this blog post has taught me that by using Better Touch Tool and Apple Scripts, you can it now along with an awful lot of other stuff. Handy. I was chosen for Track of the Week last Friday, going for a popular David Bowie number. Then due to some internal error (or indication of good taste - however you like to look at it…), I’ve been nominated for Track of the Week again! I thought this track was a suitable choice, given the situation.